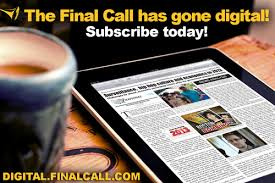 (FinalCall.com) - Angry protestors took the streets with demonstrations, marches, “read-ins,” and prayer vigils in more than 100 cities for a national day of action. The protests came one full week after a jury in Sanford, Florida acquitted George Zimmerman of killing unarmed Florida teen Trayvon Martin. 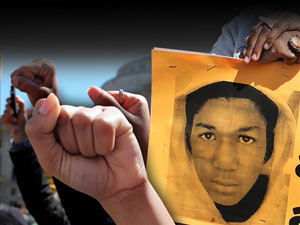 From New York to Los Angeles, from Miami to Baltimore, people in hoodies and waving banners depicting the Black youth’s photo, called on the Justice Department to file federal criminal civil rights charges against Mr. Zimmerman. They demanded a repeal of Stand Your Ground laws, which permits use of deadly force if feeling threatened, even when retreat is possible. They also demanded an end to racial profiling of young Black males by law enforcement and vigilantes. “We hope that the protestors remain vocal and vigilant to make the Department of Justice answer the question of whether or not private citizens with 9mm guns can profile our children and follow our children while they’re walking down the street because not even the police can profile based on racial ethnicity alone,” said Benjamin Crump, the Martin family attorney. 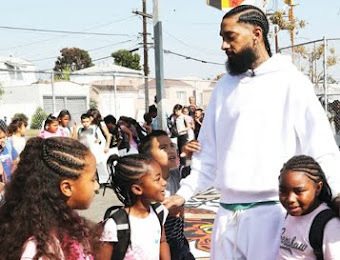 “Secondly, we want the protests to continue until we can change these laws and have the Trayvon Martin Act, which says you can’t pursue somebody, kill them, and say you were standing your ground. 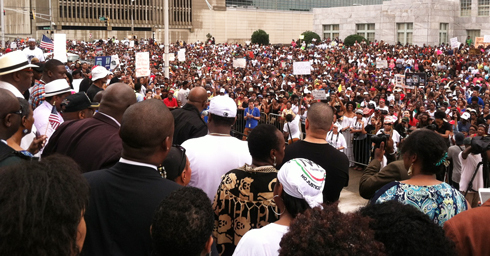 Sybrina Fulton has said, ‘This verdict will not define Trayvon Martin. 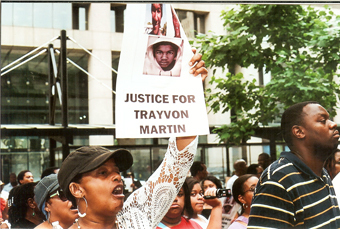 We will define Trayvon Martin’s legacy,’ ” Atty. Crump told The Final Call, referring to the teen’s mother. Ms. Fulton joined Reverend Al Sharpton, the National Action Network, and demonstrators, including entertainers Jay-Z and Beyonce, at the Justice for Trayvon rally and a march across New York’s Brooklyn Bridge July 20. The high power entertainer couple also said they will not perform in Florida so long as Stand Your Ground laws are in affect. “We’re going to deal with this Stand Your Ground law. There should not be a law that means if you think you’re under threat, you’ve got the right to kill somebody. That law hurts Blacks, Whites, Latinos, Asians. This ain’t just a Black thing. This is a human thing,” Rev. Sharpton told demonstrators. Some argued American racism is so pervasive, President Barack Obama, leader of the so-called free world, can’t even speak to Trayvon Martin’s death or the verdict without a backlash from right wing, racist opponents, the mainstream media and average White Americans. Trayvon Martin had the civil right to go home that day, he continued. According to the Rev. Sharpton, a lead organizer of the 1963 March On Washington 50th anniversary gathering Aug. 28, the D.C. commemoration is the next high water mark in a new movement for justice. The day will be devoted to calling for a federal probe of the death of the Florida teenager, voting rights protections, ending Stand Your Ground laws and other changes, said the activist, who is also a MSNBC talk show host and nationally syndicated radio host. “We see this Trayvon Martin case as a catalyst but it’s definitely part of a much broader issue of injustice across the board and racism in this nation, in particular in this so-called justice system,” said Krystal Muhammad, Houston chair and Southern Regional Representative of the New Black Panther Party. She helped to spearhead a three-day series of protests immediately after the verdict and leading up to the national 100-city day of action. People were given a space to vent their frustrations during a July 14 protest at Houston’s City Hall, she said. Organizers also quickly channeled their energy toward protests, she said. 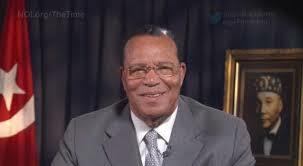 On Monday, July 15, Student Minister Robert Muhammad, Minister Louis Farrakhan’s Southwest Region Representative based in Houston and activist Quanell X led a protest. It started off with a few hundred people but grew. The crowd grew so large it blocked Highway 288, the main thoroughfare and connector to downtown Houston, according to Mr. Muhammad. Minister Muhammad sees the response to the verdict as another experience to shake and wake Black people up. He doubts protests will subside, saying atrocities take place daily because of warped, racist thinking about Black people. It started when Blacks set their soles on the shores of America, said Min. 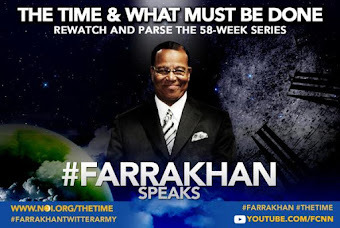 In the 52-week lecture series, Minister Farrakhan has been identifying plainly who God is, who the Devil is, and what’s required of the people of God as both are revealed. Activists are now working to set up a People’s Tribunal in Sanford, Fla., to try Mr. Zimmerman on international civil rights violations, according to Krystal Muhammad, of the New Black Panther Party. “We need to let the world know these demonstrations have a certain purpose but also we need to look at other avenues besides the state courts, besides the federal courts, to address this issue,” Ms. Muhammad argued. “You know, when Trayvon Martin was first shot I said that this could have been my son. Another way of saying that is Trayvon Martin could have been me 35 years ago,” President Obama said in a July 19 press briefing at the White House. “And when you think about why, in the African American community at least, there’s a lot of pain around what happened here, I think it’s important to recognize that the African American community is looking at this issue through a set of experiences and a history that doesn’t go away,” President Obama told reporters in a brief statement. Talks of an economic boycott grew beyond threats, at least when legendary entertainer Stevie Wonder and other declared they would not perform in Florida or any state where Stand Your Ground laws exist. That’s more than 20 states. Some cable network news anchors expressed shock, disbelief and disappointment that he would give such an unannounced briefing and without warning. But President Obama went to great lengths, speaking slowly many noted, to explain how few Black men, including him, have not been followed while shopping in a department store or stopped by police for no reason. Those experiences impact how the Black community interprets what happened that night in Florida, President Obama continued, referring to Trayvon Martin’s death. Ms. Fulton and Tracy Martin, Trayvon’s father, were “deeply honored” and “moved” that President Obama took time to speak about their son. Dozens of activists with the Miami branch of the Dream Defenders, a youth-based social change organization, spent a weekend in the capitol building in Tallahassee, Fla. They began a protest at the capitol on July 16, demanding a meeting with Gov. Rick Scott, calling on him to review the state’s Stand Your Ground law. Gov. Scott denied the request, saying he would not call a special legislative session to take up the issues. Protestors vowed to remain at the capitol until he changes his mind. “I think this has started a movement rather than just a reaction. I don’t see this going back into things going as usual. I don’t think that’s going to happen for a while because this was such a public disgrace, a murder that was sanctioned by the state. 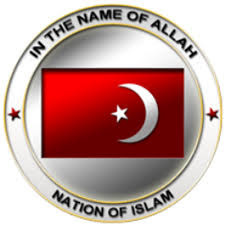 This is too obvious,” said Reverend Omar Jahwar of the Kingdom War Church, which works on gang intervention and prevention in Dallas, and held a march and rally in solidarity with the National Day of Action. Many credit national youth protests with bringing attention to the shooting in the first place. After the shooting on February 26, 2012, Sanford Police didn’t arrest Mr. Zimmerman until 46 days later under mass public pressure. Organizers with the Justice for Trayvon Martin Los Angeles group have attached five major demands to their protests: They want federal charges filed against Mr. Zimmerman. They want an end to new jail and prison construction, an end to gang injunctions and the gang database, and community control over law enforcement. The group also called for a full pardon for Marissa Alexander. In August 2010, the Black mother and her parents say she fired a warning shot to stop an attack from her abusive husband. Yet in early May 2012 she was sentenced to 20 years in prison under Florida’s 10-20-life law. The bullet she fired hit no one. Charged under mandatory minimum sentencing laws, firing the weapon was a felony. Similarly, Trevor Dooley, a 72-year-old Black man, was sentenced to eight years for manslaughter on January 17. A judge denied Mr. Dooley’s Stand Your Ground defense, ruling there was no reasonable belief that deadly force was required when he shot neighbor David James in 2010. The fatal encounter began with a dispute over a youth skateboarding on a basketball court escalated into a fight. Mr. Dooley, who was 69 at the time, said he felt threatened by Mr. James and was being choked. He drew a weapon and shot and killed Mr. James. 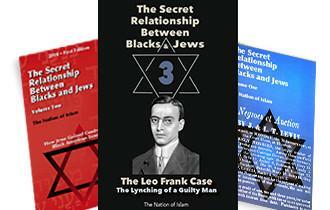 Faraji Muhammad, of the Black Youth Project and a Muslim activist, said actions organized by youth must continue. Beyond the Stand Your Ground Laws, there is also “Stop-n-Frisk,” under which New York Police stopped, searched and questioned more than 700,000 mostly Black and Latino men last year, he said. Seeking Justice for Trayvon Martin is a multi-tiered and involves strategy, direct action and policy reform, Faraji Muhammad added. 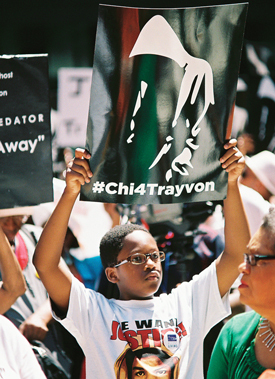 Immediately after the verdict, Black Youth Project issued an action plan, which pledged support of justice movements such as the Dream Defenders, who want immigration reform. A petition demanding federal civil rights intervention into the Martin shooting is another tactics and the group is organizing youth for the upcoming March on Washington. “We’re connected! 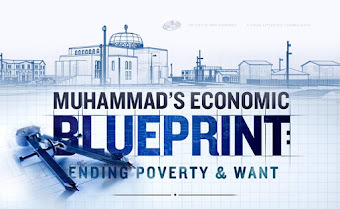 Within our network of 100 young leaders, you’ve got 100 different people who are connected to various resources so now we’re striving to work together and there’s a possibility of us putting together some type of larger agenda to begin to address the issues of justice,” Mr. Muhammad said. Meanwhile, talks of an economic boycott grew beyond threats, at least when legendary entertainer Stevie Wonder and other declared they would not perform in Florida or any state where Stand Your Ground laws exist. That’s more than 20 states. “In Florida ‘stand your ground’ is an incentive to kill. We must all boycott Florida,” said the Rev. Jesse Jackson at a July 18 Chicago protest. According to media reports, entertainers Kanye West, Mary Mary, Rod Stewart, Madonna, Usher, Justin Timberlake, Trey Songz, Young Jeezy, Rhihanna, Alicia Keys and Dionne Warwick have also vowed not to perform in Florida. Dr. Anthony Asadullah Samad, author and political commentator, agrees with calls to divest from the heavy tourism and retirement state. “There is an aspect of that that can make an economic impact ... We should in fact boycott Florida. If Florida wants to play like that, stop going south for the winter,” he said.